Get your materials ready, WW Sketchcrawl 33 is on October 15 – let us know where you will be sketching! http://www.sketchcrawl.com/forum/viewforum.php?f=58 It is always a joy to see wonderful art from around the world and pictures too!!! 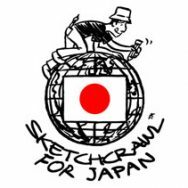 World Wide SketchCrawl 21 announced!!! Mark your calendars the first SketchCrawl of 2009 is going to be on saturday January 10th!!! Come by the forums and start getting organized in your area or just let us know where you plan to draw! Cheers! Ready for a drawing marathon? WORLD WIDE SKETCHCRAWL 20 Finally …. Sorry for the delay on setting the next global drawing marathon day, been a little busy with the TFP, but here’s the day finally: Saturday OCTOBER 25th!! Mark your calendars and come by the <http://www.sketchcrawl.com/forum/”>forums</a>! This is a big one, almost 4 years of SketchCrawling around the world!!! Exciting! Mark your calendars ! The next international SketchCrawl day is set to Saturday June 21st !!! All of us drawing around the world … tomorrow … 🙂 Join us for World Wide SketchCrawl 18!